Xiaomi Robot Vacuum 2 is an improvement over the original version. The vacuum is now ready to mop your bare floors, thanks to the addition of a new mop tray. The top case has been redesigned and the laser sensor has been brought closer to the center of the robot, in order to fit all the additional components. The top buttons have also been modified. Performance wise, the vacuum gets an extra 200 Pa to its suction, reaching a whooping 2000Pa, which makes it comparable with the newest Neato D7. After having tested the waters with the original MI Robot Vacuum, Xiaomi is all set to place itself as a major player in the $3.36 billion global robot vacuum industry and to accomplish something which Dyson couldn’t with their 360 Eye, by unraveling their Xiaomi Robot Vacuum 2. From power to features, their new toy also known as the Xiaomi MiJia Roborock Robot Vacuum improves on its predecessor in every way. Priced around $550, it’s also more expensive. So is it worth its steep price tag? What are the real differences between the new product and its original version? And from where could you get it the cheapest? Let’s find out. When it comes to suction power, the Mi Robot Vacuum 2 does not disappoint. It has a suction rating of 2000 Pa which is a significant bump up from the previous generation’s 1800 Pa peak suction figure. In fact, the Mi’s suction figures are even better than the more expensive Roomba 980, which delivers peak suction power of 1670 Pa. Considering that Roomba faces no trouble picking up dust particles and pet hair, I’ve going to venture in saying the Mi Robot Vacuum 2 delivers outstanding performance. Coupled with the carpet detection technology (which is very similar to Roomba’s) and moreover, mixed with the great brushroll design, the new version of Xiaomi is one of the best robot vacuums money can buy. The Mi Robot Vacuum 2 is fitted with a 5200mAh lithium-ion battery pack, one of the highest mAh one can find in the robot vacuum world. A full charge delivers a run time of 2.5 hours, which is good enough to clean a space of as big as 2700 sq. ft (the equivalent of 250 square meters). Any way you look at it, the time-span of 150 minutes of continuous work is impressive. It easily beats the 2 hour cleaning time delivered by the Roomba 980. Neato is also rather behind this number. You can check out my comparison of the original version with models from iLife, Neato and iRobot. Once the battery is low, the Mi’s self-charging feature enables the bot to make its way back to charging dock. The main unit has a LED battery indicator, which displays different colors to indicate the charge level. The light shines white when the battery charge level is more than 50%. The color changes to yellow when the charge level drops below 50%. Once the battery charge level drops below 20% the LED displays a red light. The battery should last at least a couple of years of frequent usage. When it comes to the size of the dust tank, the new Mi cleaning bot is not making an improvement. It can store almost the same 16 oz (480 ml) of dirt (vs 14 oz/420 ml in the original version). This capacity pales in comparison to the whopping 23.5 oz (700 ml) size of the Roomba 980. If you have a pet that sheds a lot, then there is a good chance that you would have to clean up the dust collector every single day. Thankfully, the dust collector box can be easily accessed and cleared by opening the top cover of the unit. If the cleaner is only collecting fine dust particles and not pet hair, then you can go a few days without clearing out the box. However, the new version does make a step forward by featuring a mop which can hold around 4 oz of liquid (100 ml), enough to mop for 45 to 60 minutes continuously. This functionality is further expanded by some unique characteristics: the water tank can be attached to the robot just by sliding, the mop pad is connected to the tray also through a sliding mechanism and the liquid is spread wisely, only when the Roborock is moving. The older generation Mi model had HEPA filters. The newer generation ditches the HEPA efficiency for a single trait, reusability. That’s right, the Mi Robot Vacuum 2 comes with washable filters, which can be washed and reused without the need for replacing it every few months. This drastically cuts down on the maintenance cost. However, unlike some other brands, Mi does not include extra filters, which would have been a welcome addition to the accessory kit. The difference between the E11 filter (95%) which is inside the new Xiaomi and the old HEPA (99%) may not be noticeable by most, but it may weight in if you’re suffering from asthma or allergies. Xiaomi didn’t experiment with the dimensions of the new model. The 2nd version thus looks very much like the older model. The unit measures 13.77 inches in width, and 13.9 in length. The 3mm difference is brought by the extra soft crash bumper, which is destined to protect your furniture. The radius is slightly larger than the original version and almost identical to the Roomba 980. Therefore, if you have used or seen the Roomba then you know what to expect. The Mi is slightly taller than the Roomba, with a height of 3.79 inches (vs 980’s 3.6 inches). The Roomba 980 is slightly heavier, weighing 8.7 lbs compared to the 7.7 lbs heft of the Xiaomi Robot Vacuum 2. Xiaomi definitely saved some cost by not including extra filters, pads or brushes. The main unit is shipped with a charging dock, charge cable, mopping pad, a detachable water tank, a brush cleaning tool and the product manual. It’s the same minimalist kit we saw in the first version. When it comes to day to day usage, the Mi Roborock 2 is a champion. Instead of cramming it with gimmicky features, Mi worked on making the unit quieter and more efficient. The main unit is lined with soundproof cotton that significantly impacts the decibel output. Its smart pressure sensor can tell the difference between the standard flooring and carpet. This allows the unit to optimize its power setting based on the type of surface it’s on. The unit also has greater maneuverability and can safely climb over an obstacle measuring 2 cm (vs 1.5 cm, in the old version). The unit also got softer rubberized cushions to protect itself from accidental collisions. The wheels got better at climbing, and now the bot can tackle slopes of 20 degrees (vs 15 degrees, in the old version). The SLAM navigation was kept as in the previous model. The Lidar laser sensor spins 5 times per second to map everything, build and update its virtual map. The smartphone application is however greatly improved. With the new Mijia version, you can create virtual walls on the fly and command the robot to a certain point, things you couldn’t do with the original vacuum cleaner. Speaking of sensors, Xiaomi added some more. The bot can now avoid areas in which it bumps with its “head” (a technology called the “omnidirectional pressure sensor”). A double electronic compass sees virtual walls better than before and an infrared back sensor comes to improve the autonomous recharging mechanism. As for the discussion about different types of surfaces, the Xiaomi vacuum 2 works on most common type of floors, including tiles, linoleum, hardwood, marble, stone and carpets (except high pile of course). Actually, given the mopping feature, I think the robot is now far more suitable for hard floors then it was before. On carpeted area, improvements should however be barely noticeable. This particular Mi model comes with a barrage of pretty neat features. The bot is fitted with a 360 degree scanner which Mi likes to call the Laser Distance Sensor or LDS. As I’ve previously describe, this sensor creates a map of your home. Once that is done, you can log into the Mi home app and view the floor plan of your home. Using the app interface, you can command the bot to clean a particular space in your house. The app also allows you to set a virtual wall to keep the cleaning bot from entering certain spaces. Being WiFi enabled, you can also check and control the bot when you are away from home. The feature comes in handy when you are returning home with a guest and your want your home to be clean. Apart from the standard dusting, this model also comes with mopping function. The included water tank keeps the mopping pads wet using a clever ‘root-inspired’ effusion technology. Simply put, the mopping pads remain consistently and adequately moist for efficient cleaning. The Mi Robot Vacuum 2 comes with a limited warranty of 1 year. In case you are wondering, iRobot offers a similar 1-year warranty on the Roomba models. So is Neato on its Botvac robovacs. Before buying, you should definitely check out my updated list discounts from GB. You might find a coupon code which will save you a few bucks. That being said, the Chinese version of the Xiaomi robot vacuum 2 is around $550, whilst the “international” version (the one in English) may be as much as $600, customs fees not included. Here’s the best deal you can find online. 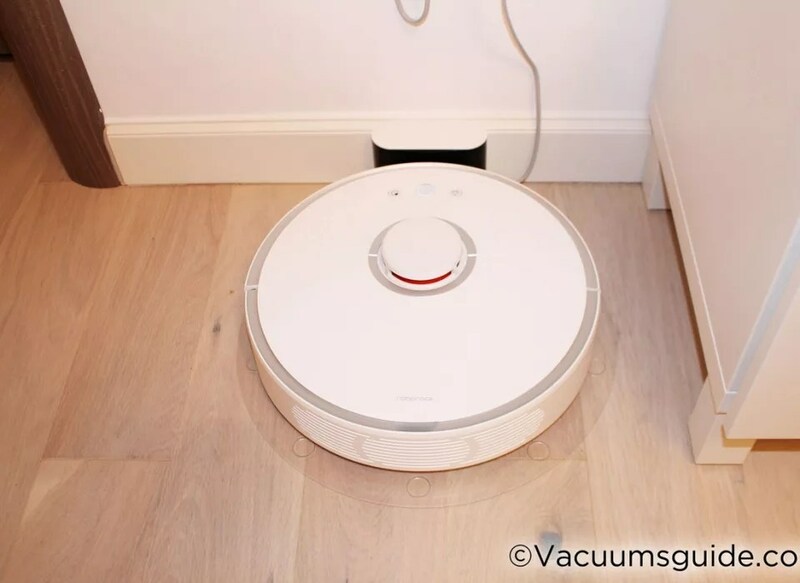 What do you think of the upgraded version of robot vacuum from Xiaomi?